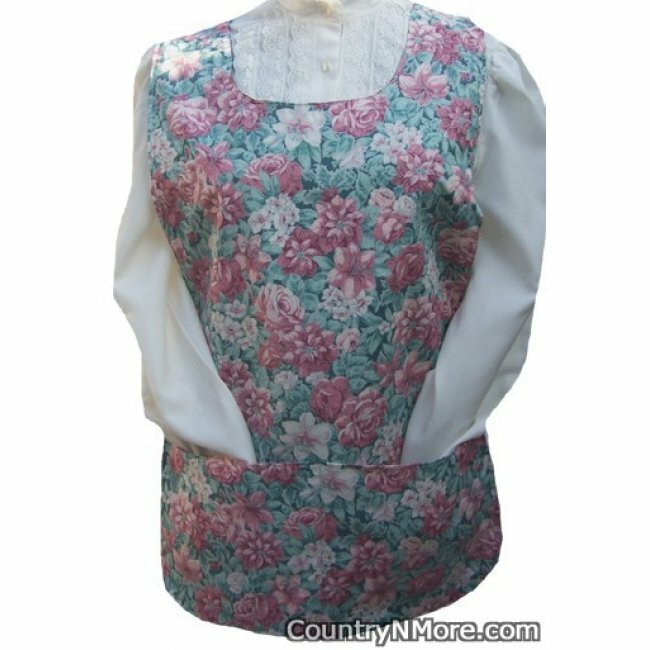 This is one gorgeous Victorian look cobbler apron. 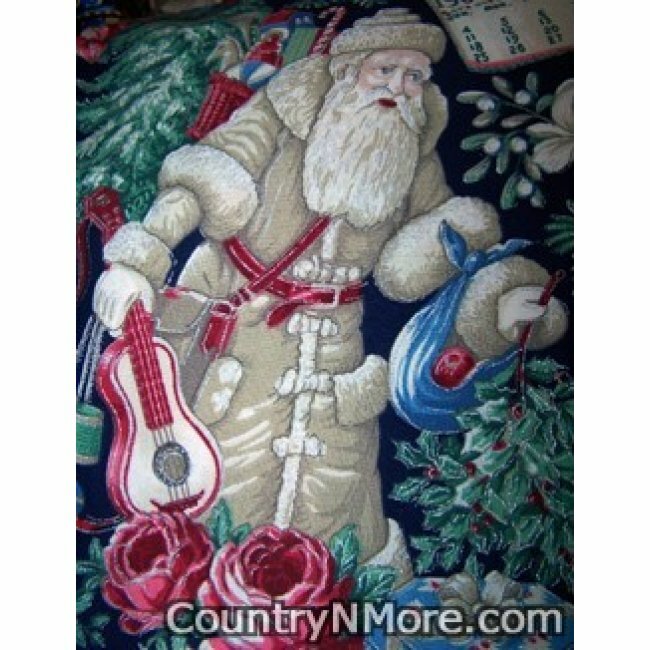 There is Santa, toys, dolls, and children throughout this print. 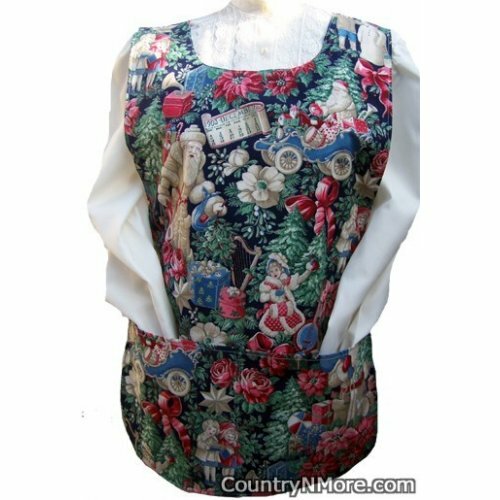 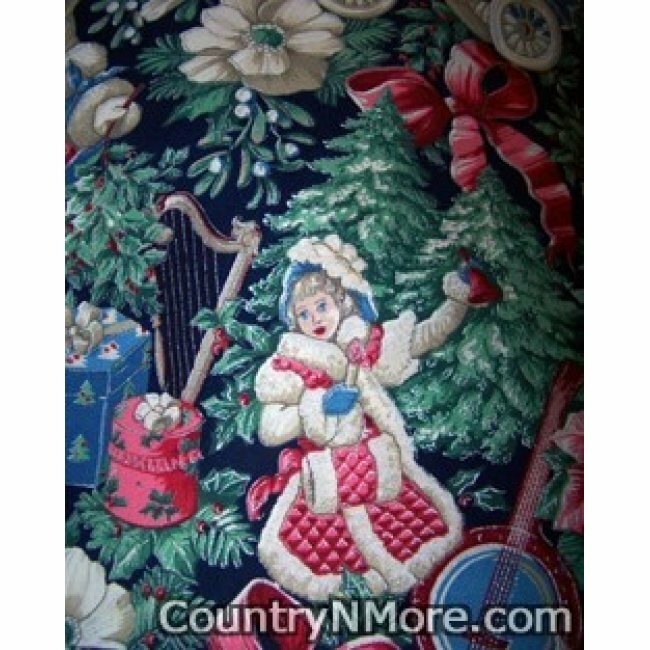 The reverse side of this handmade Christmas cobbler apron, is a beautiful glittery poinsettia and rose print. The poinsettia has the same tones as the poinsettias on the Victorian print on the reverse side.